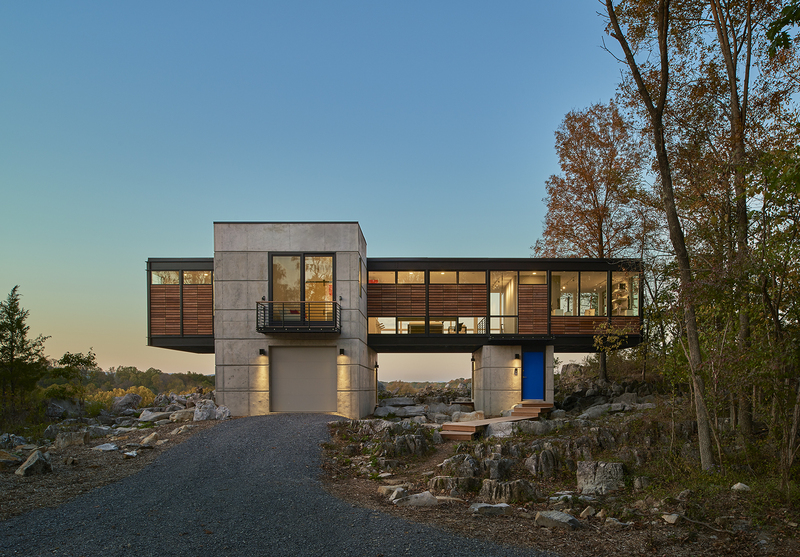 AIA|DC proudly presents the work of Hoachlander Davis Photography, an award-winning architectural photography studio with more than 20 years of professional experience in the Washington Metropolitan region. Organized by theme, Hoachlander Davis: Photographing Spaces features over 20 projects and 100-plus images related to the photographers’ commercial and residential work. With each project, the photographer lends a special point of view from behind the camera to communicate the photoshoot experience. Beyond celebrating the photographers’ images, the exhibition aims to emphasize the cooperative relationship between photographer and client, and highlight the photographer’s hand in the documentation of space. Dedicated to the art of photographing architecture, HDP’s commercial work is representational in nature in order to give the client a variety of exterior, interior, and abstract detail images. Space—how it appears and how it is used—at different times of day, in different seasons, under different conditions, and with or without people, is vital to the photographer’s portrayal. Over the years, work by HDP has focused exclusively on photographing architecture and interior design for use in design awards, magazines, and marketing. They have built a rich portfolio consisting of a wide array of projects including churches, civic centers, healthcare facilities, homes, museums, commercial buildings, schools and universities. Their clients include architects, construction companies, developers, interior designers, museums, and non-profit organizations. In addition to their professional work, the three photographers developed Photographing Spaces, a website and blog created to inform and inspire architects, landscape architects, and designers with photography techniques and practices. In turn, they are equipped with knowledge about documenting their own work, as well as how to work better with professional photographers.